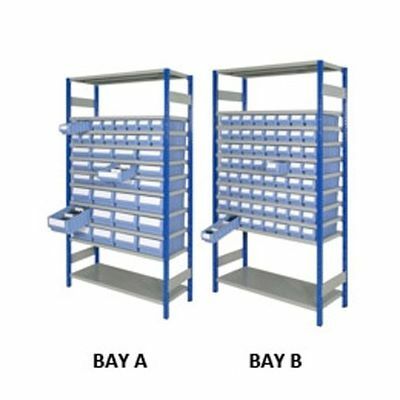 These heavy duty storage bays have been designed to house our range of light blue shelf trays, and with twenty-four different combinations available, you're sure to find the small parts storage solution that's right for you. 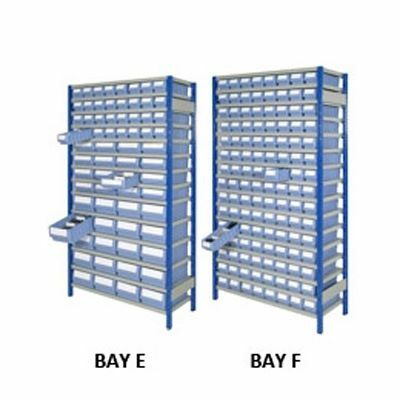 All these storage bays are 2000mm high and 1000mm wide, with optional depths of 300, 400 and 500mm for each bay. 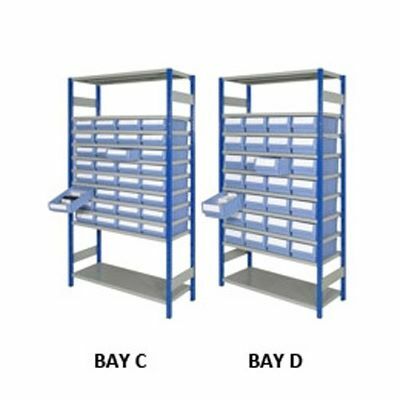 Each shelf tray comes with a label and handle, the latter doubling up as a sprung loaded shelf stop, meaning the tray can be pulled and suspended from the shelf, allowing about 90% clear access. 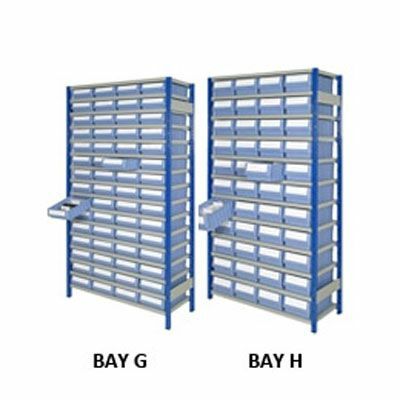 For even greater flexibility, sub dividers with labels are available separately. 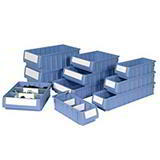 Want to buy our Shelf Trays individually? 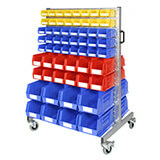 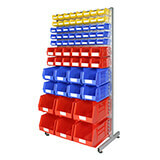 Or would you prefer Kanban Shelving for Shelf Trays?